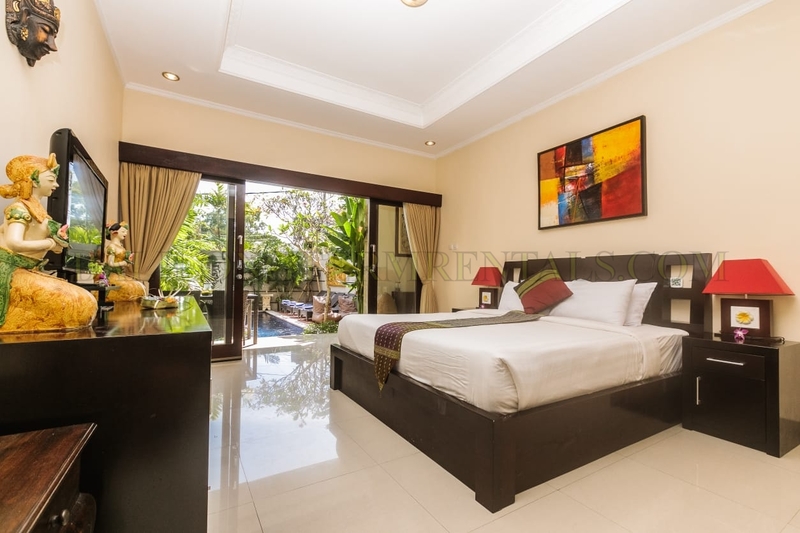 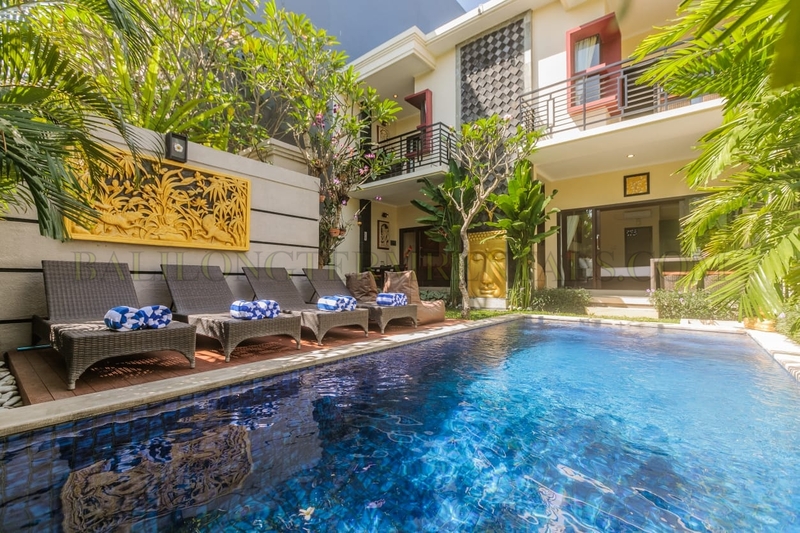 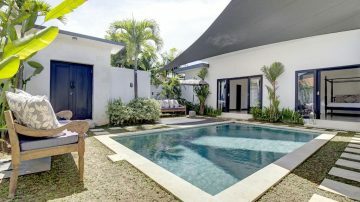 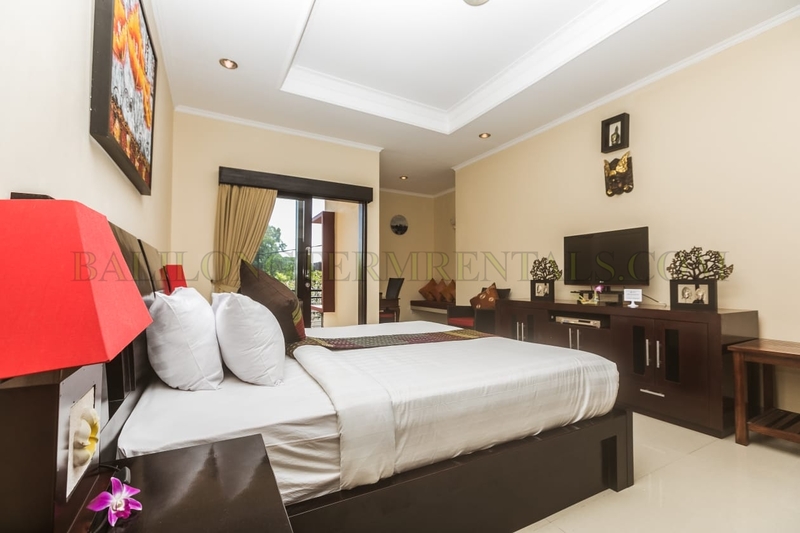 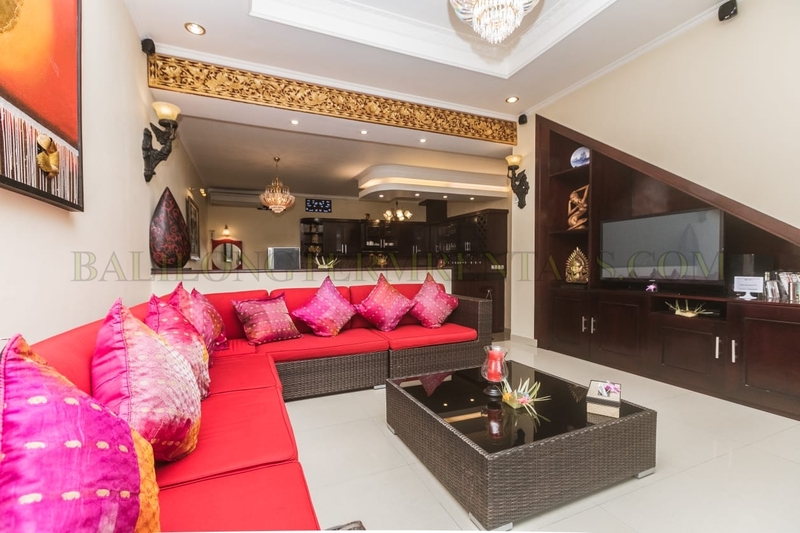 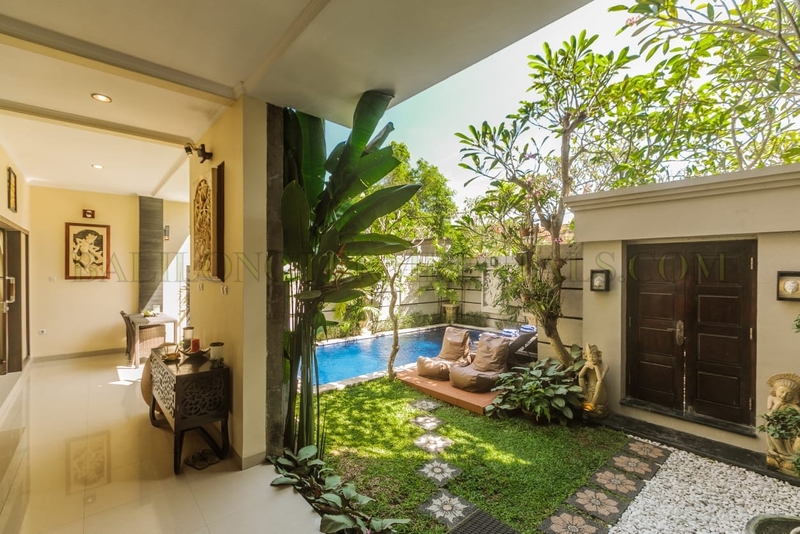 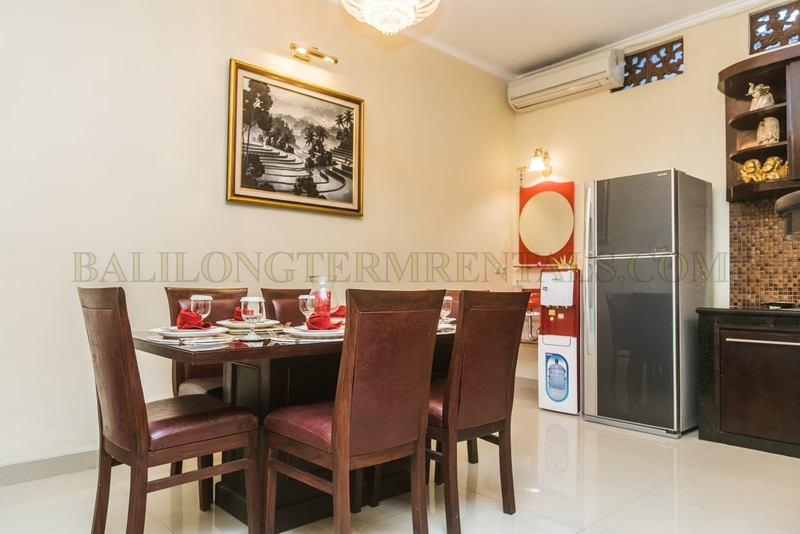 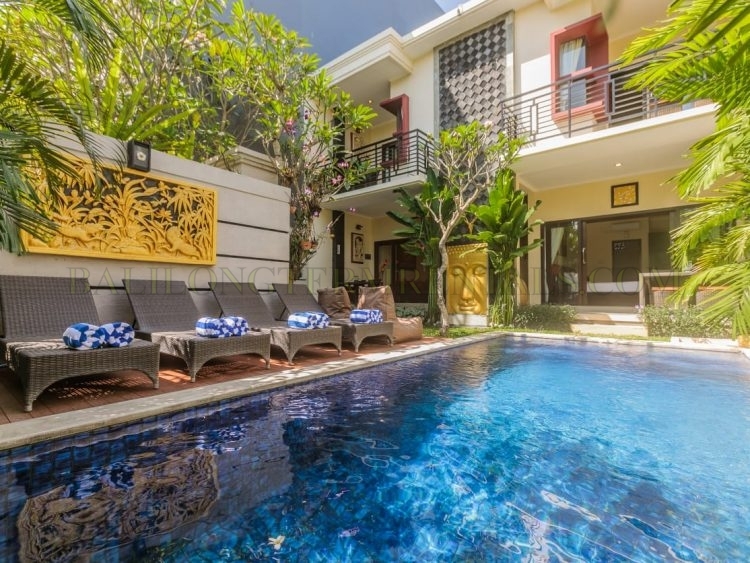 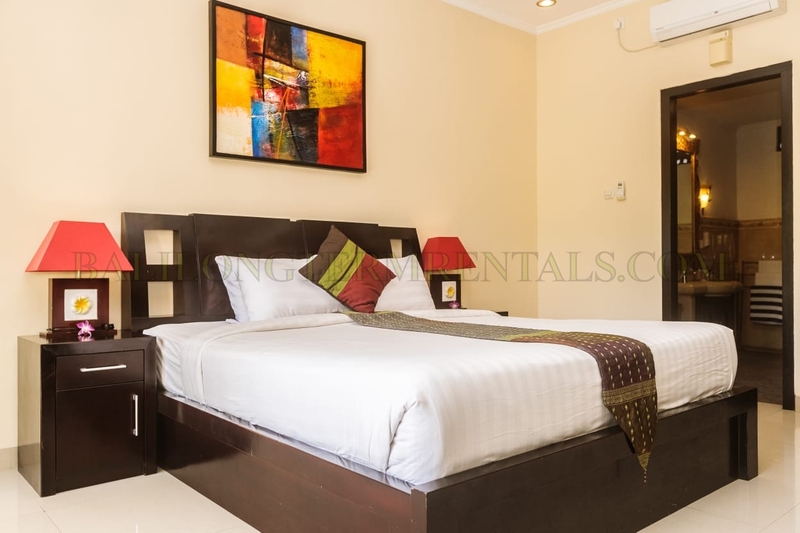 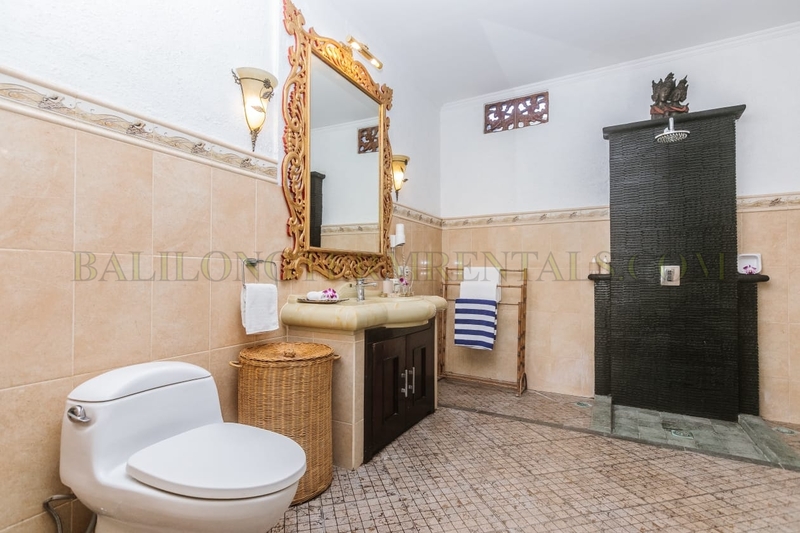 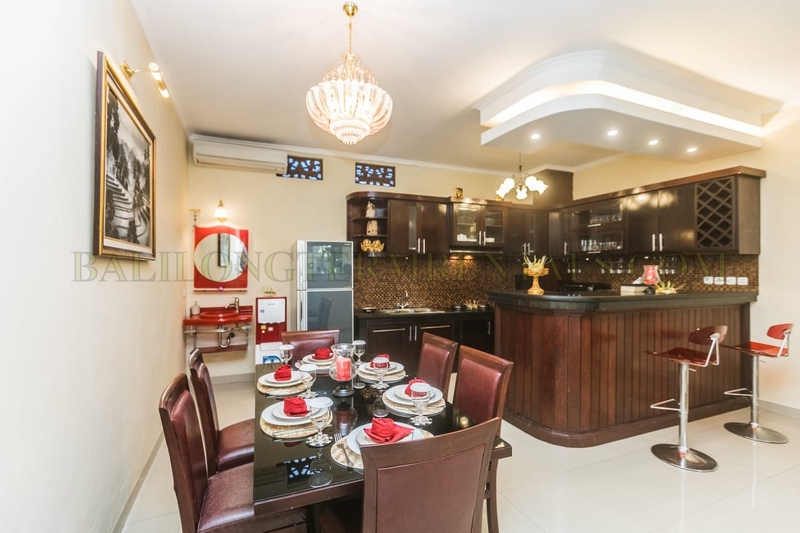 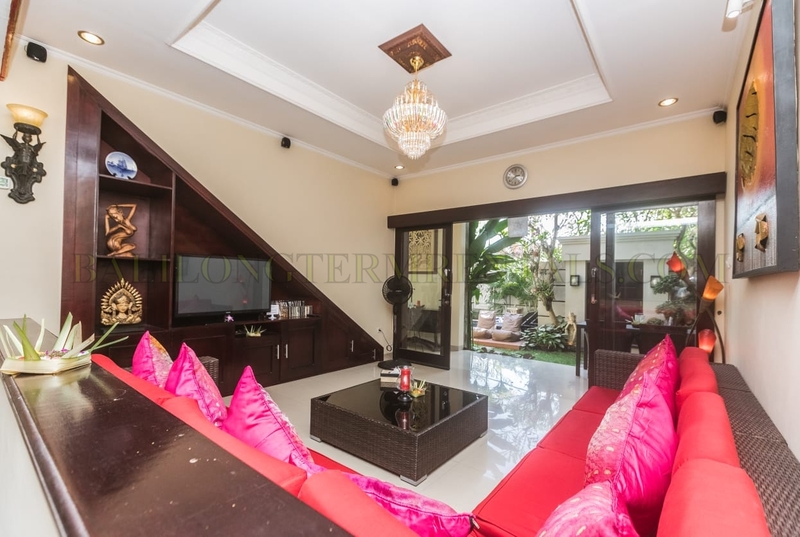 This villa located in good residential of North Seminyak, easy access to many favorite tourist spots nearby. 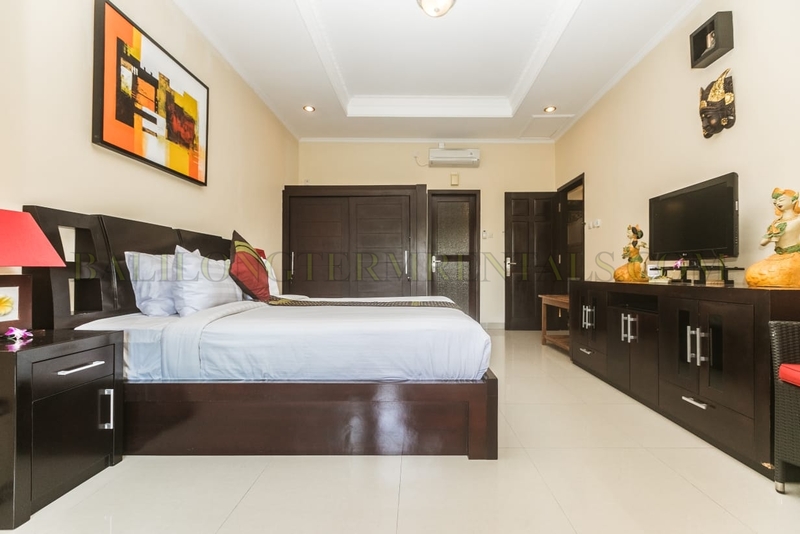 It consists of 3 bedroom with en suite bathroom, enclosed living room with glass door, dining area, fully equipped kitchen and guest toilet. 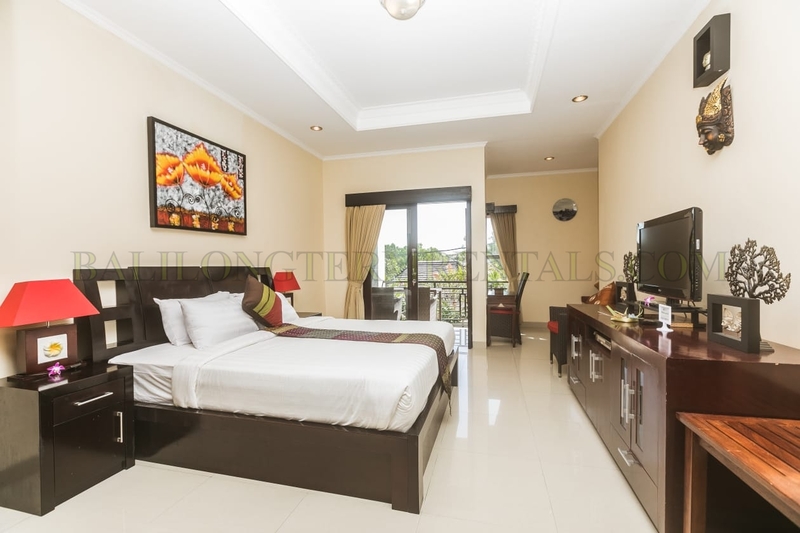 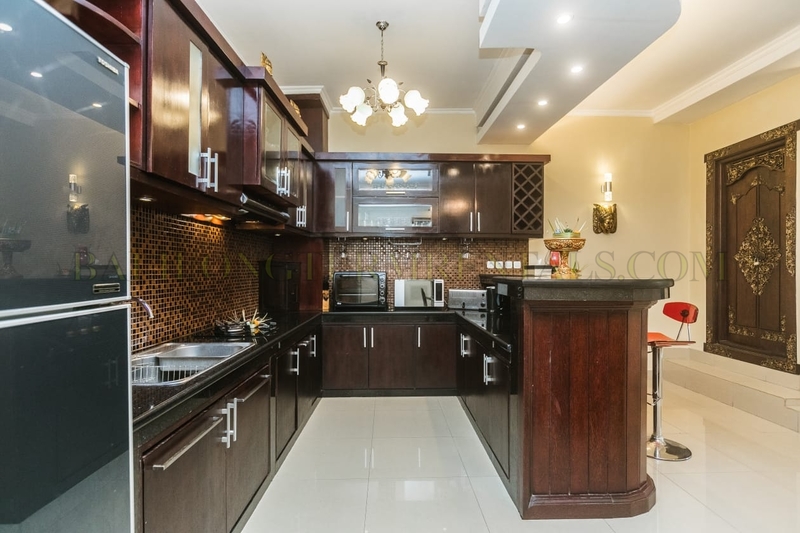 It sets on 250 sqm land area and 2 level story, 1 air conditioned bedroom facing to the pool and 2 bedroom in upstairs with balcony.